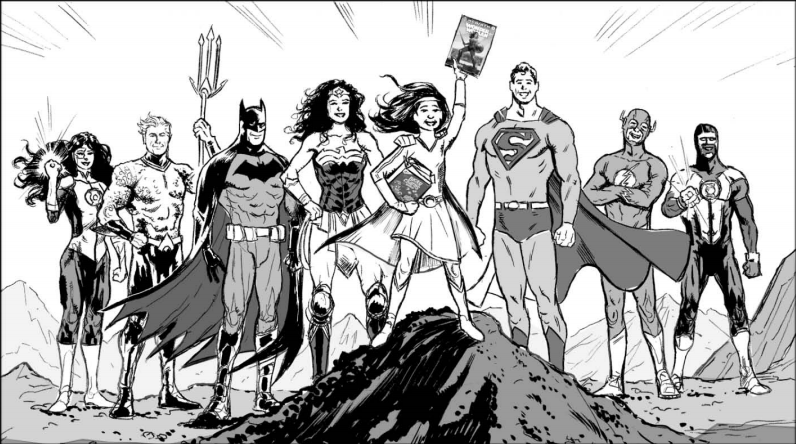 Cross-promotional spot for General Mills and DC Comics. 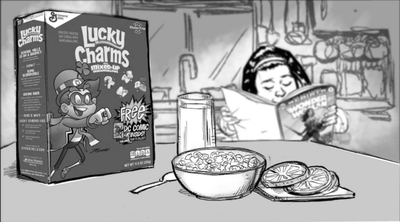 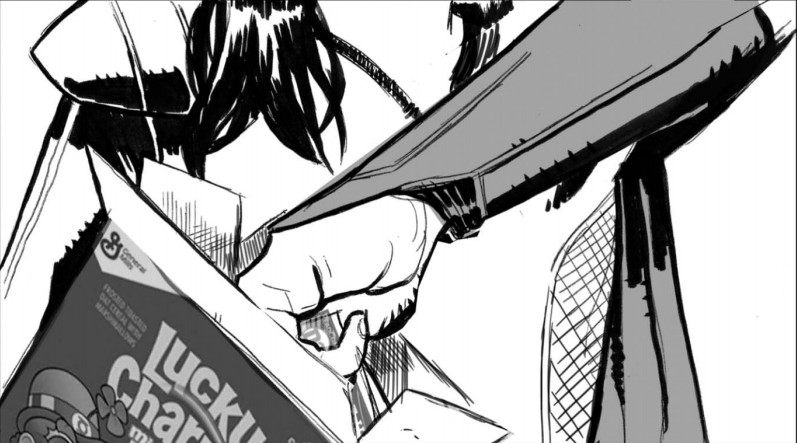 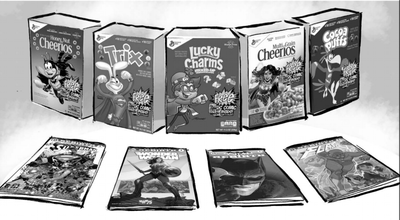 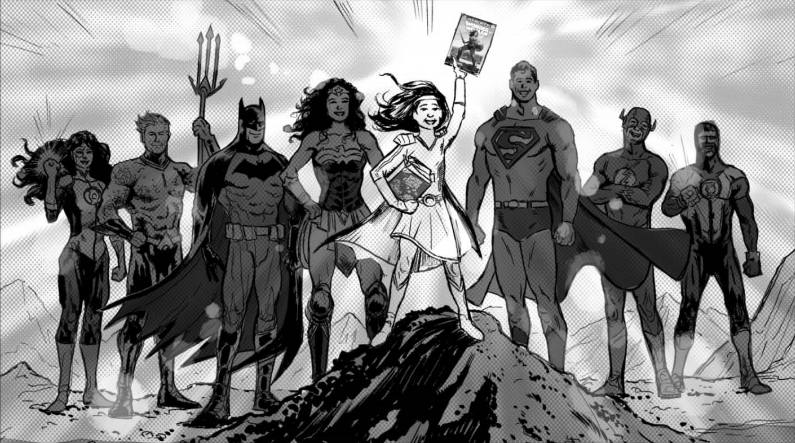 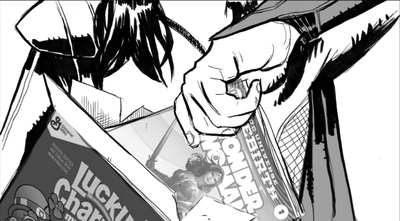 Cereals feature a free DC Comic as an in-the-box prize. 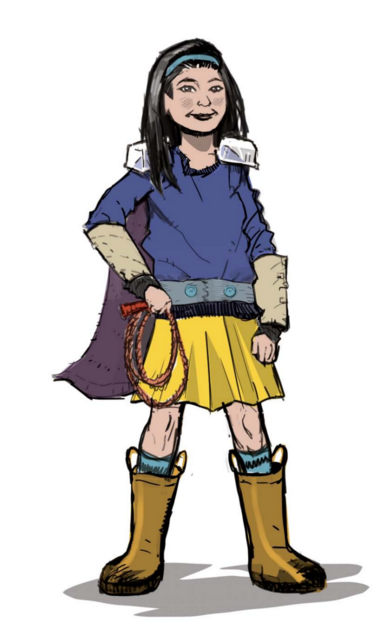 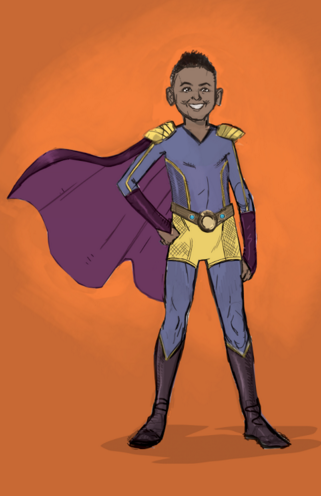 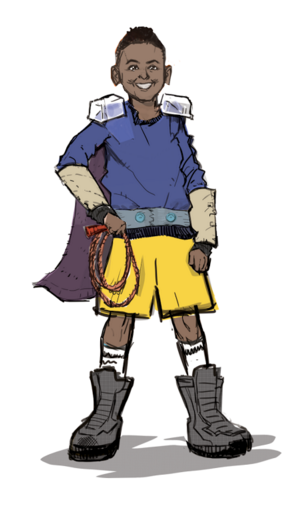 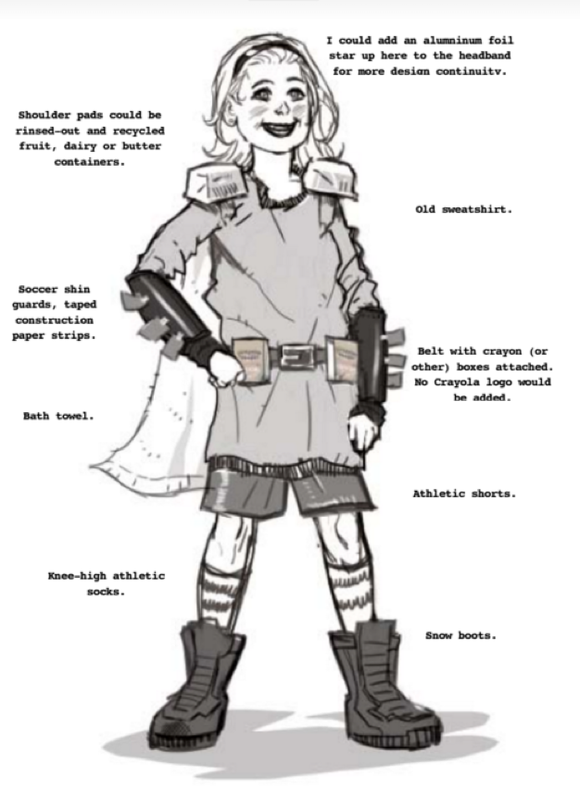 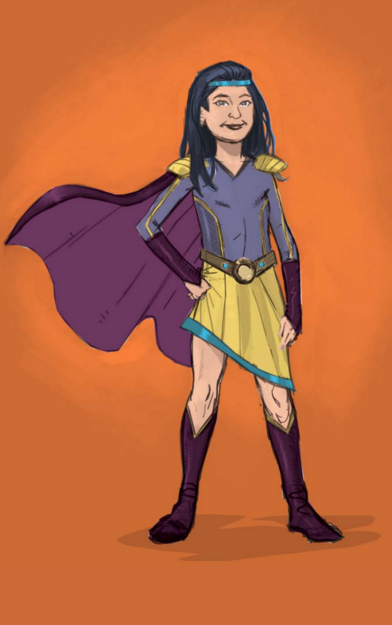 Designing what the imaginative kid would use from around the house to create a superhero costume was a blast. 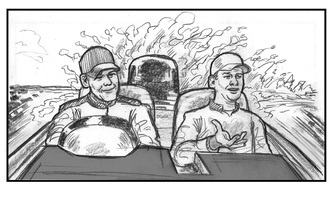 It's fun to see how this translated to live-action and the screen. 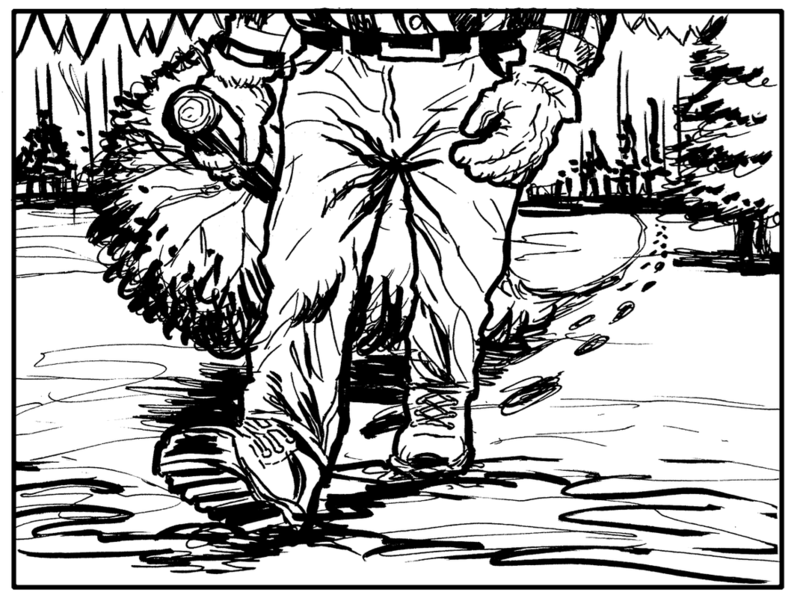 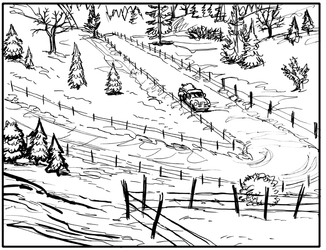 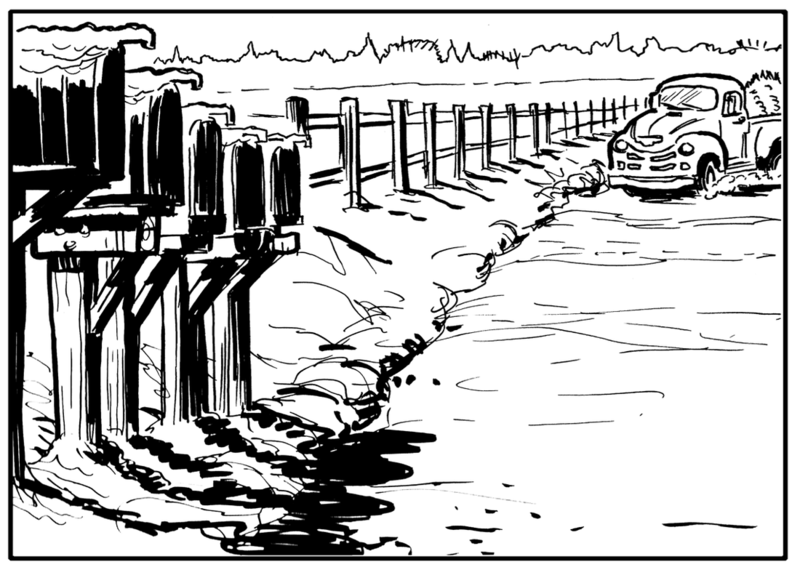 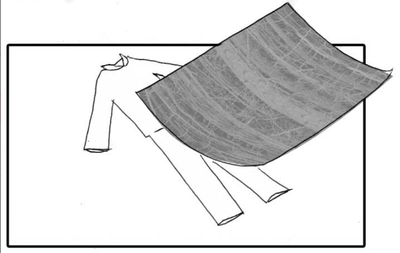 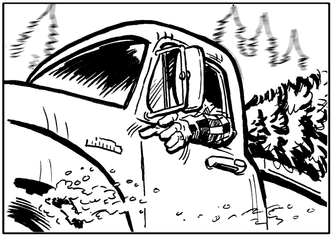 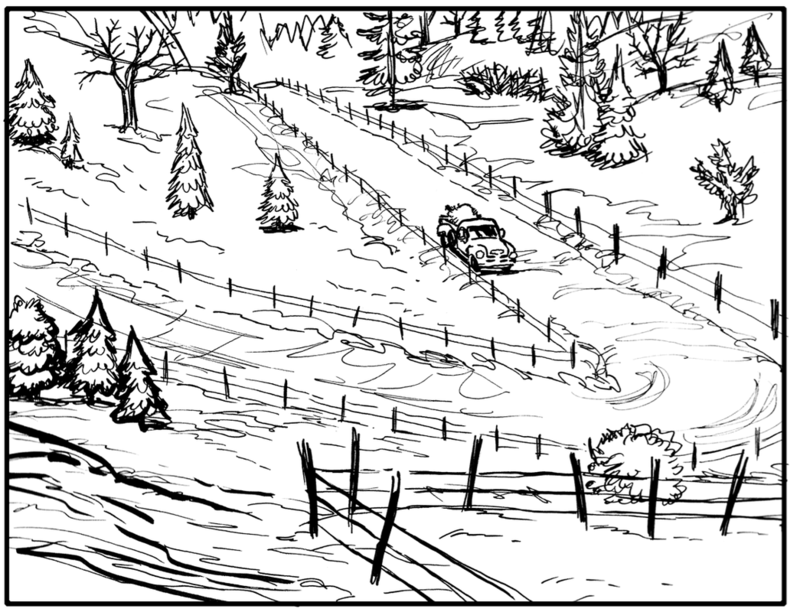 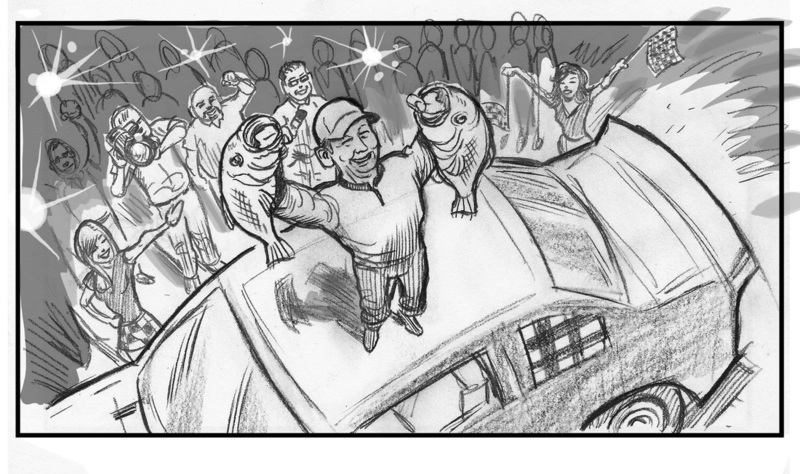 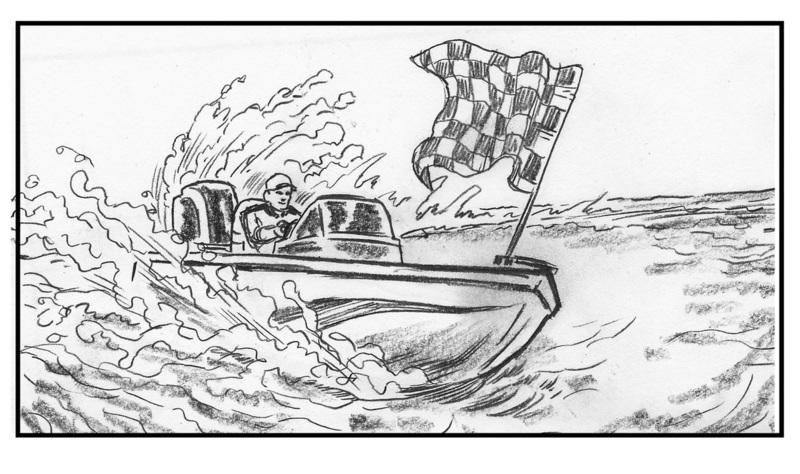 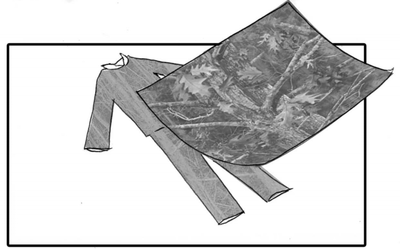 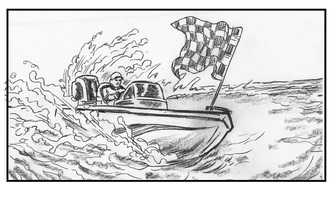 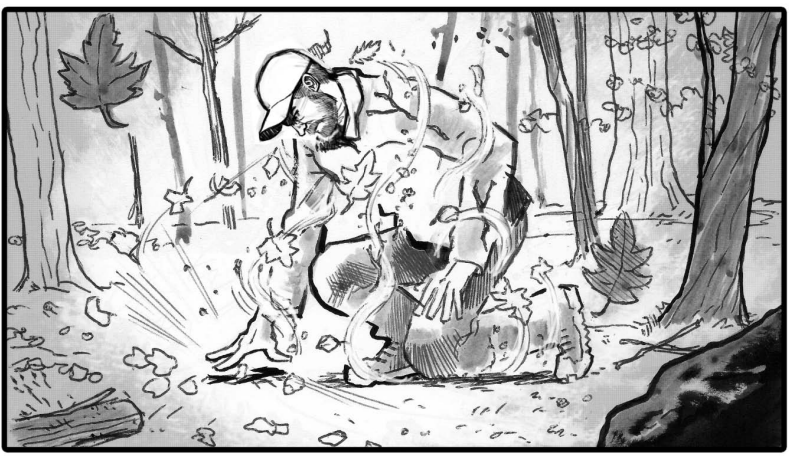 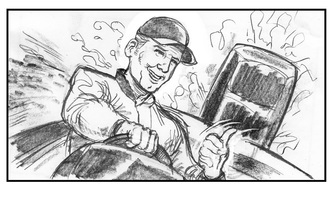 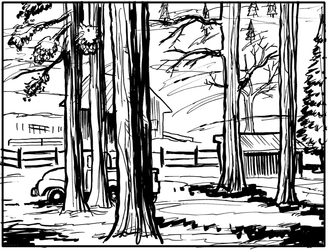 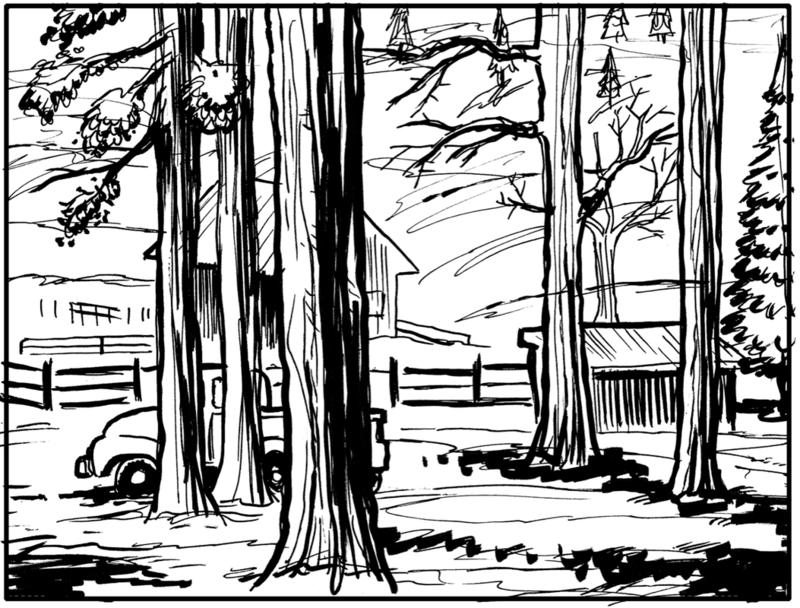 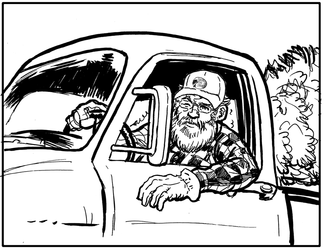 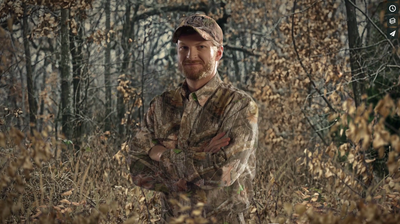 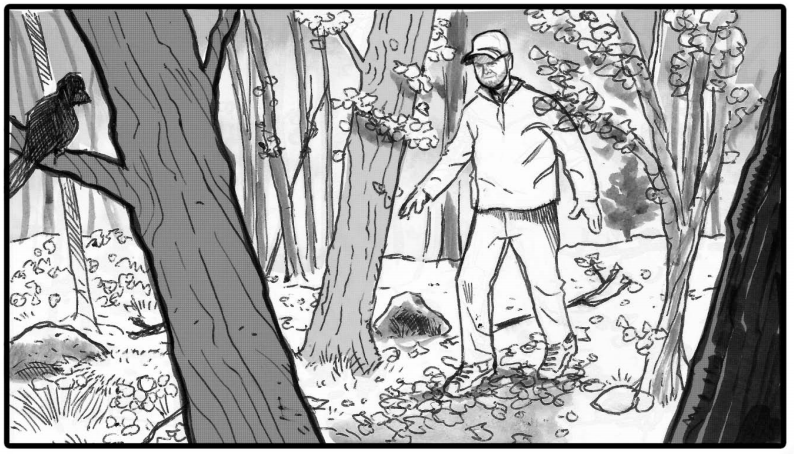 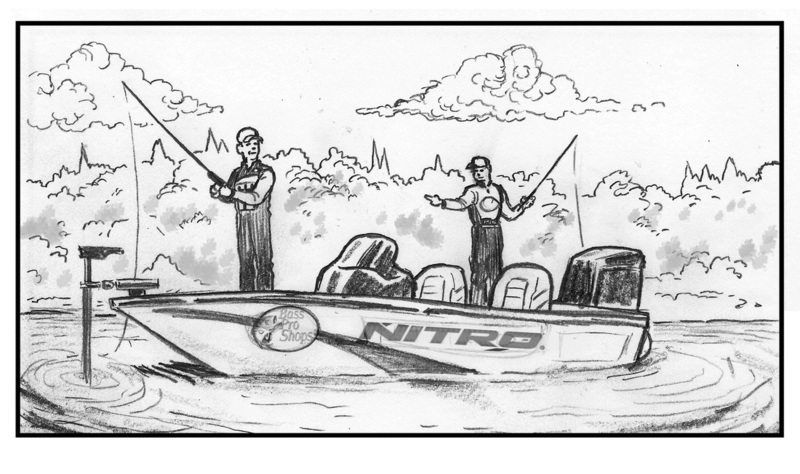 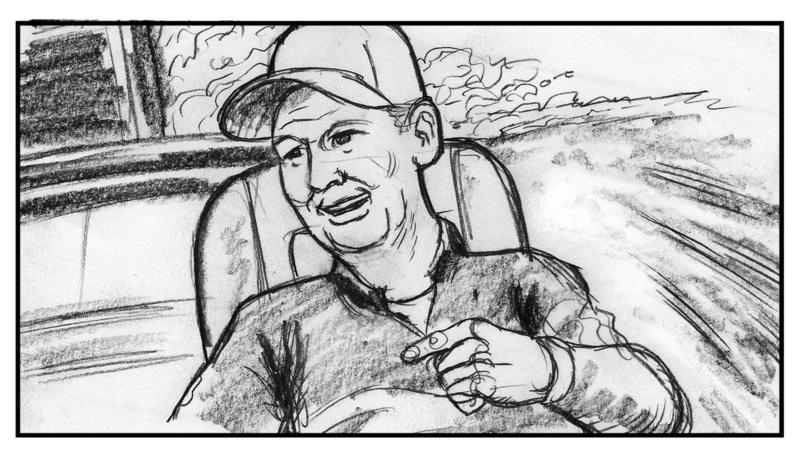 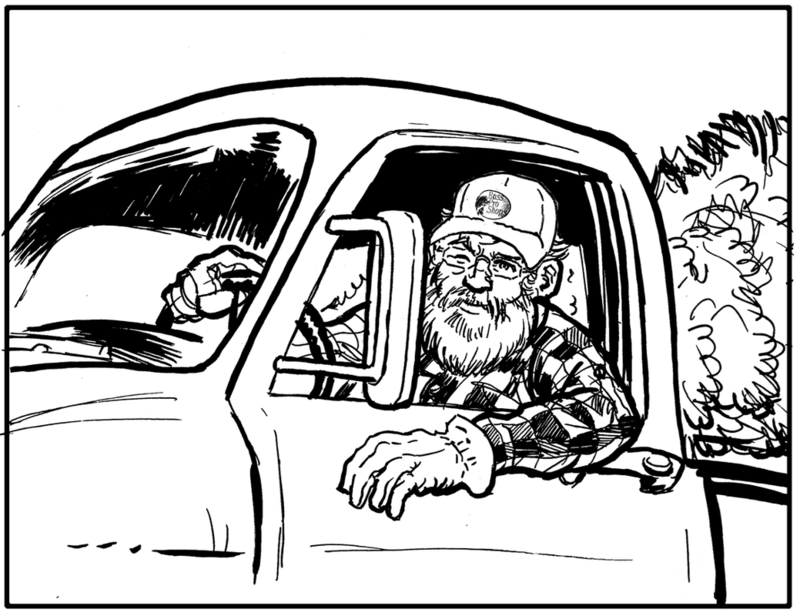 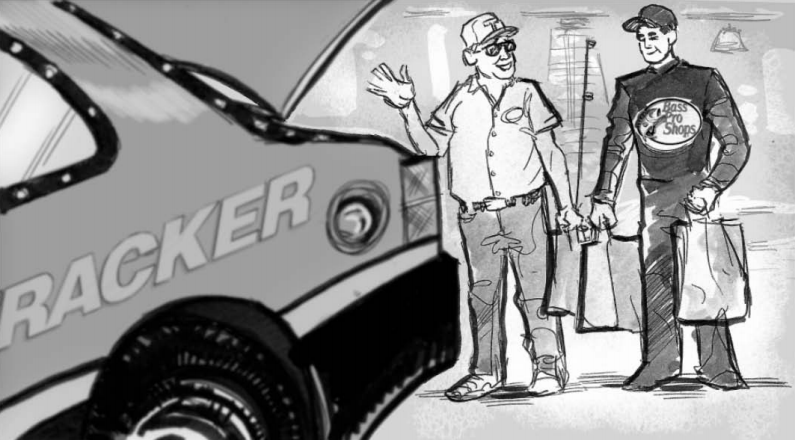 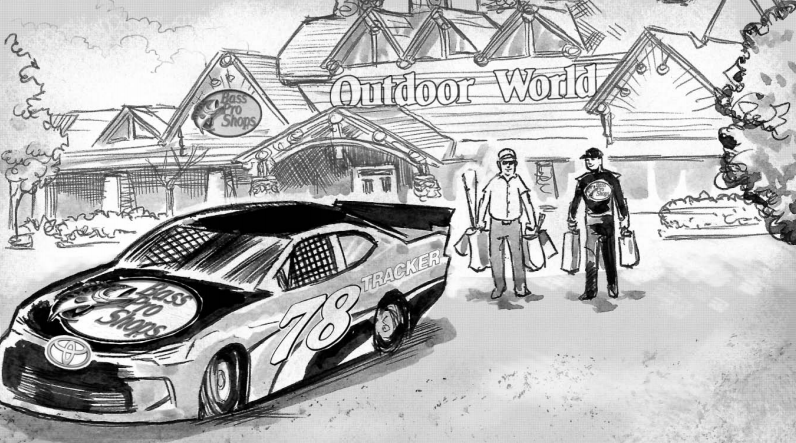 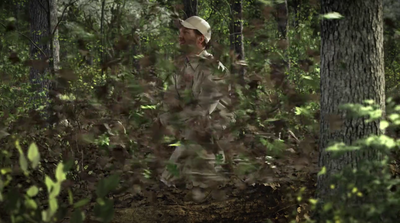 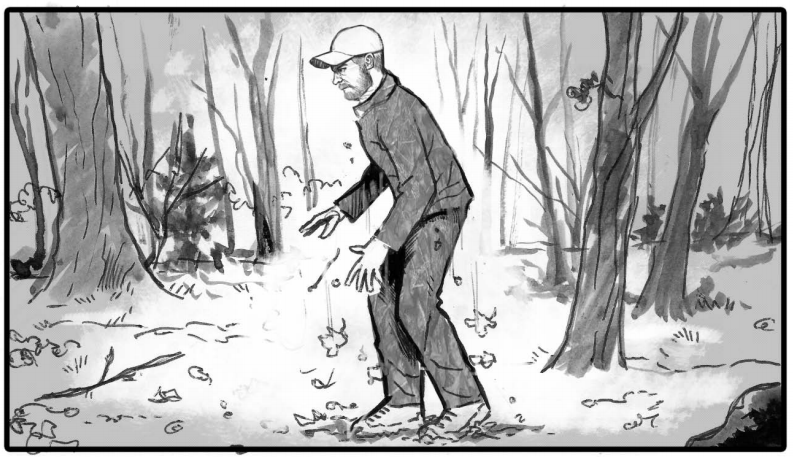 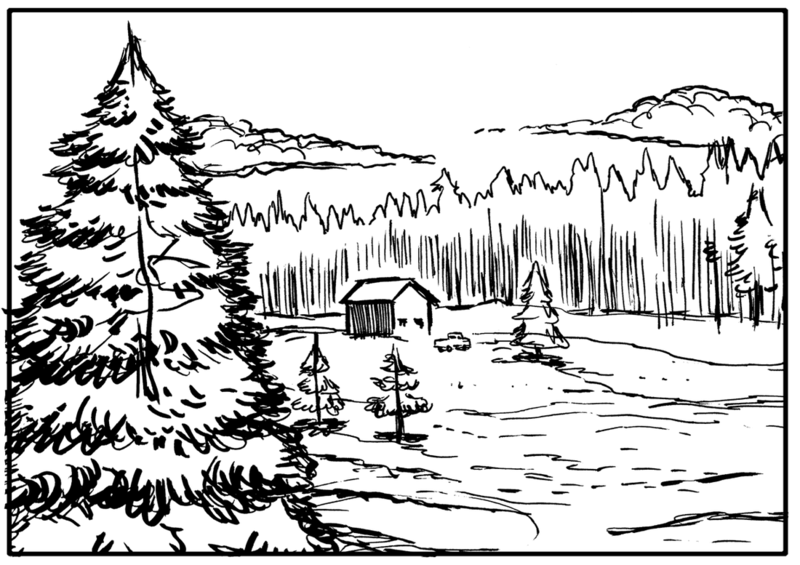 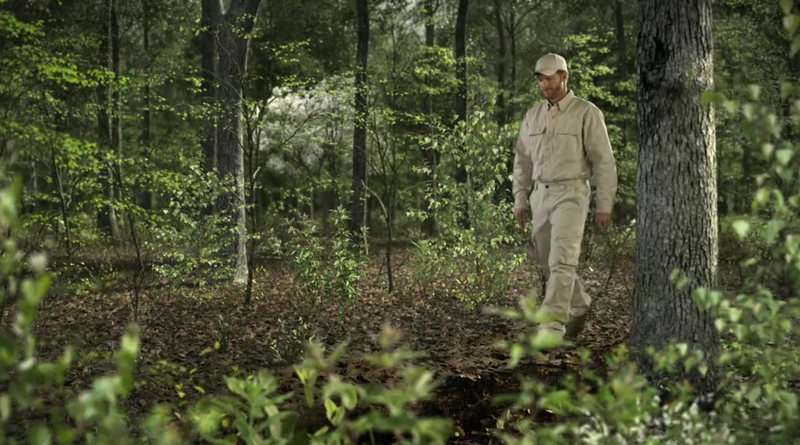 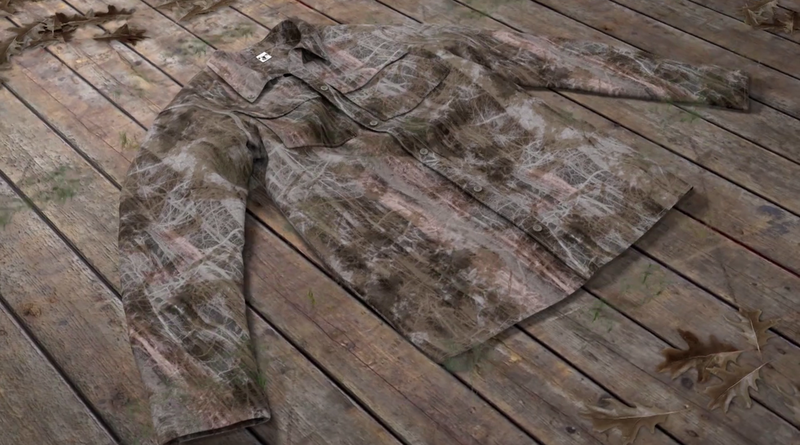 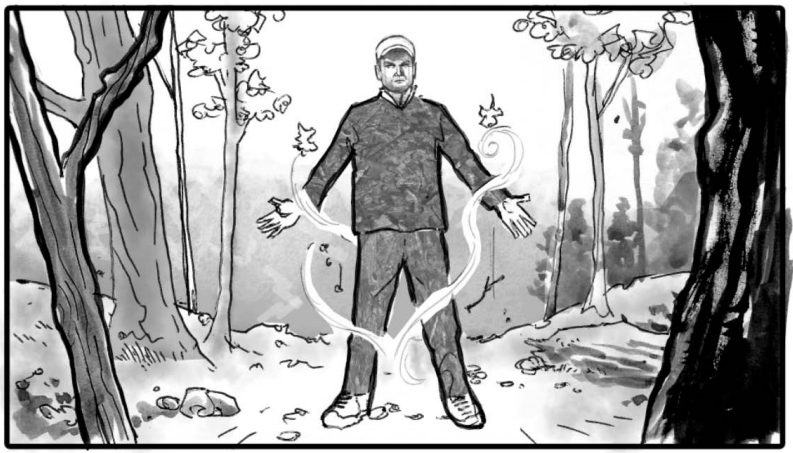 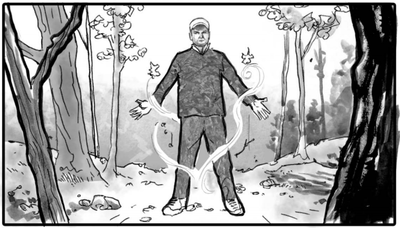 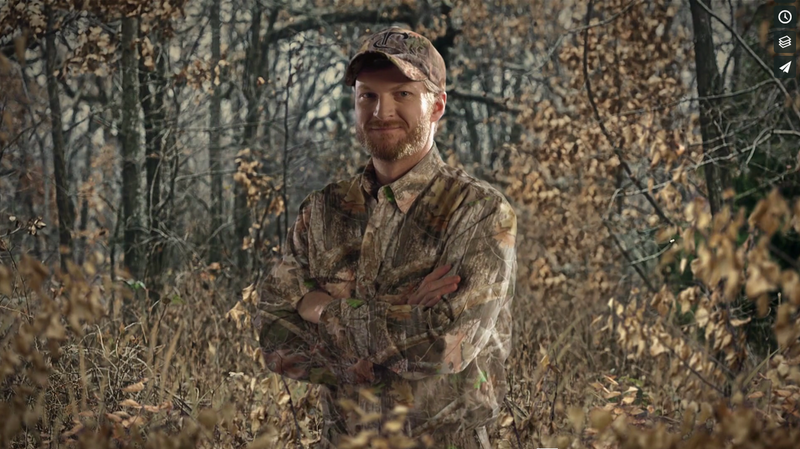 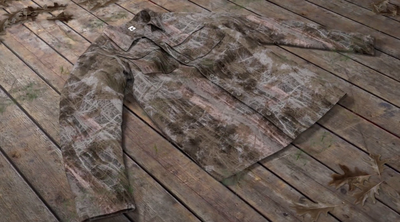 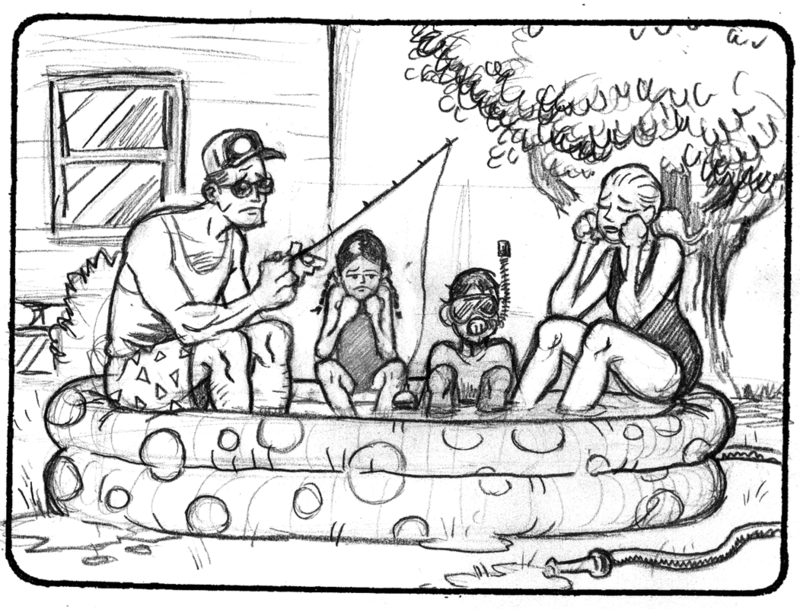 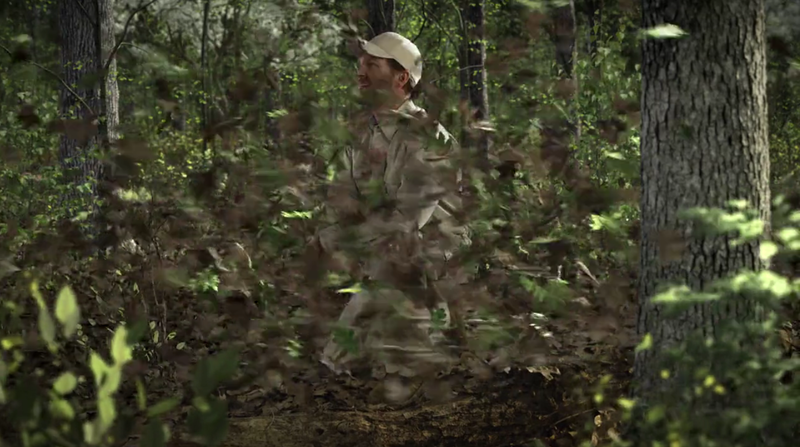 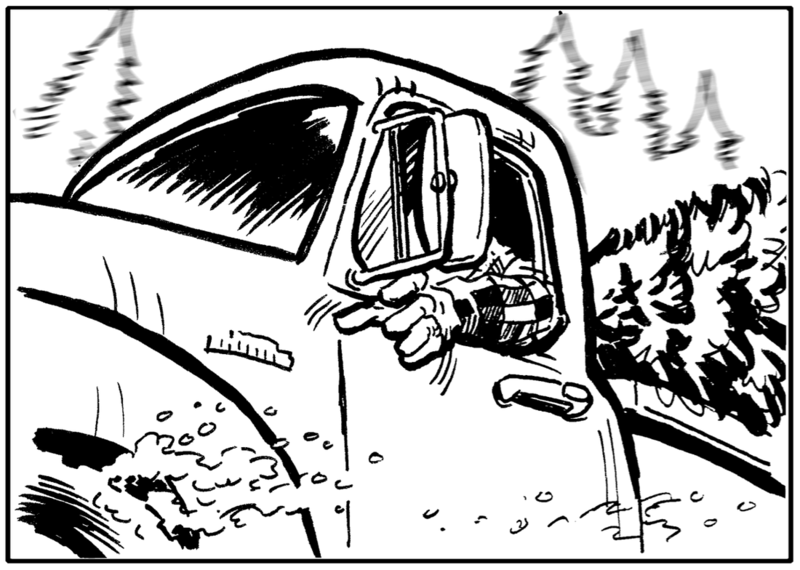 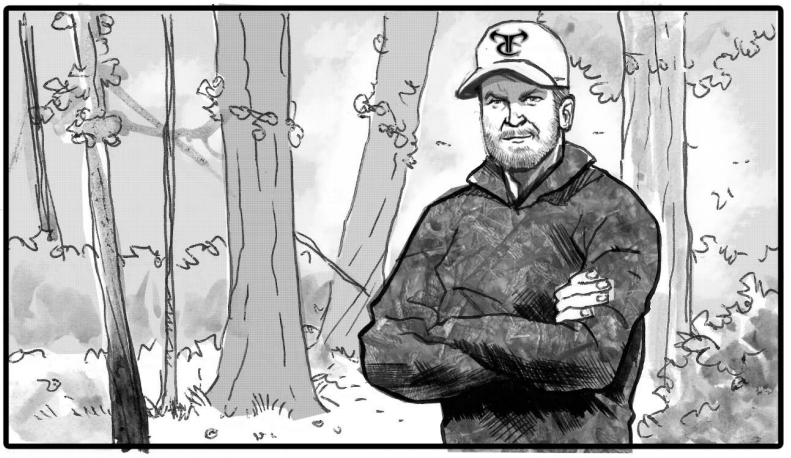 This storyboard was created for True Timber camouflage, featuring NASCAR driver Dale Earnhardt, Jr. Watch the commercial here. 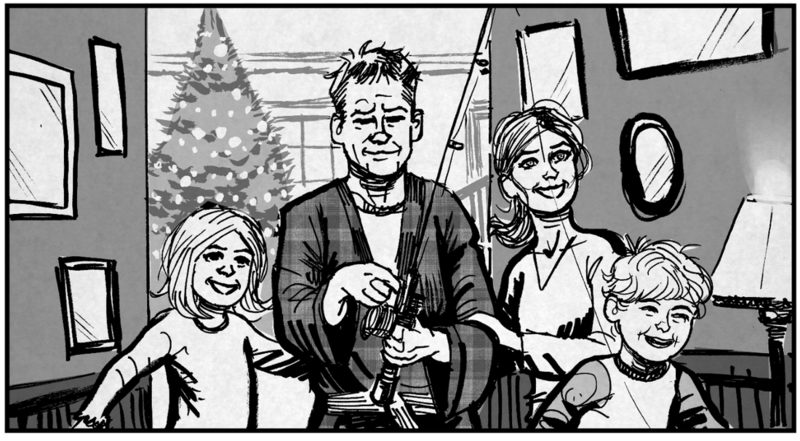 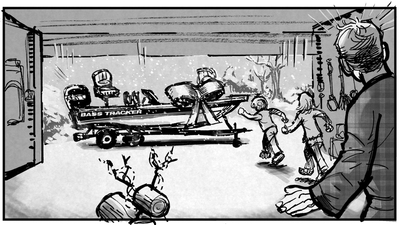 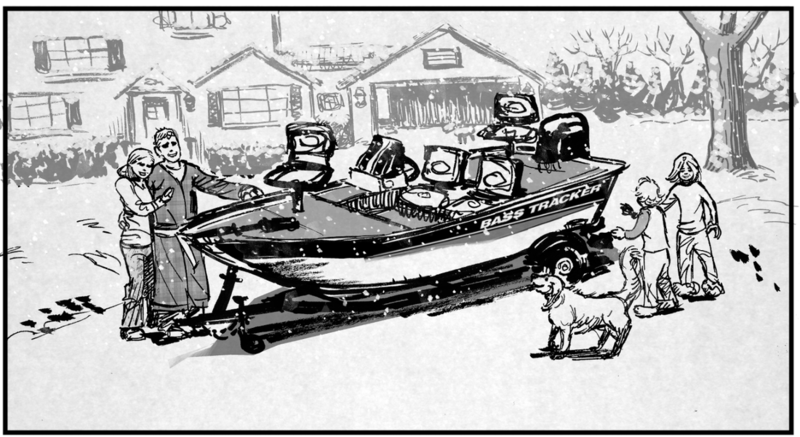 Christmas ad for Bass Pro Shops and Tracker Boats. 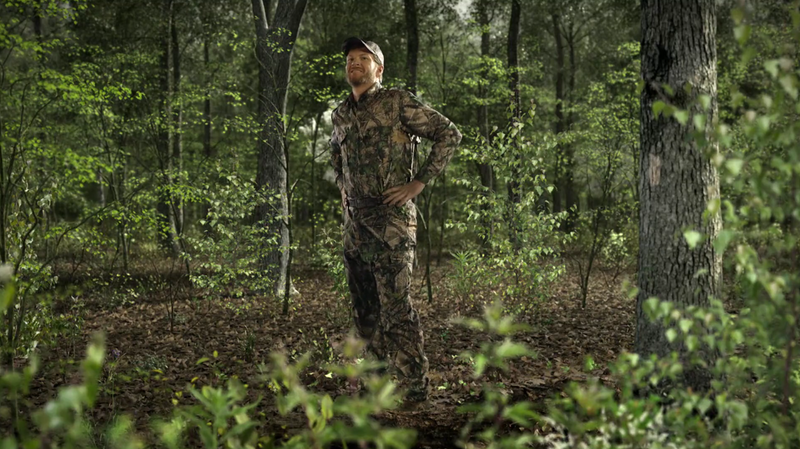 Watch the commercial here. 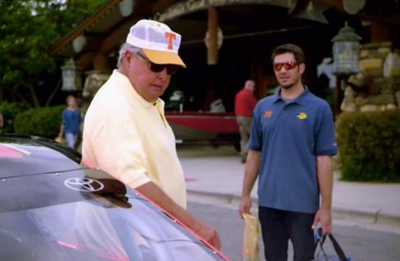 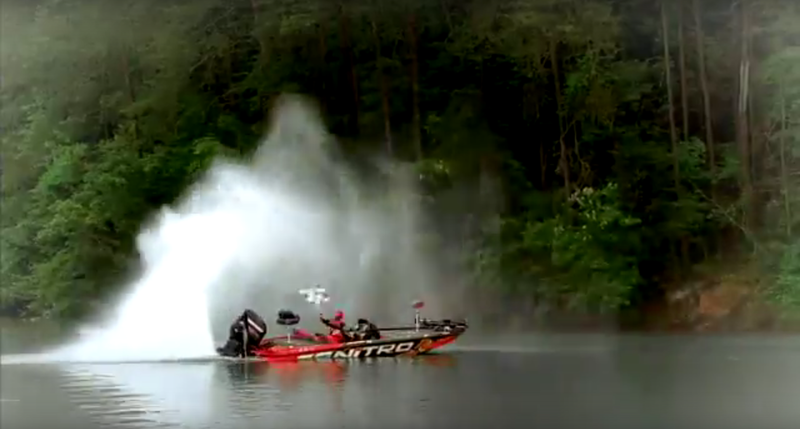 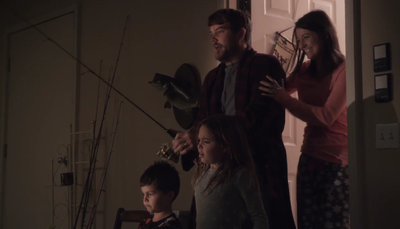 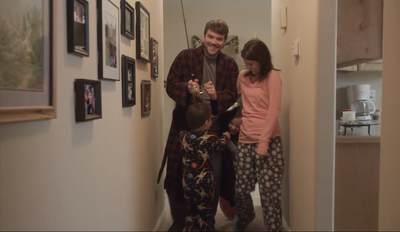 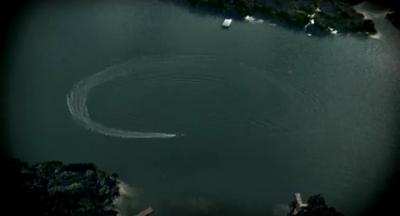 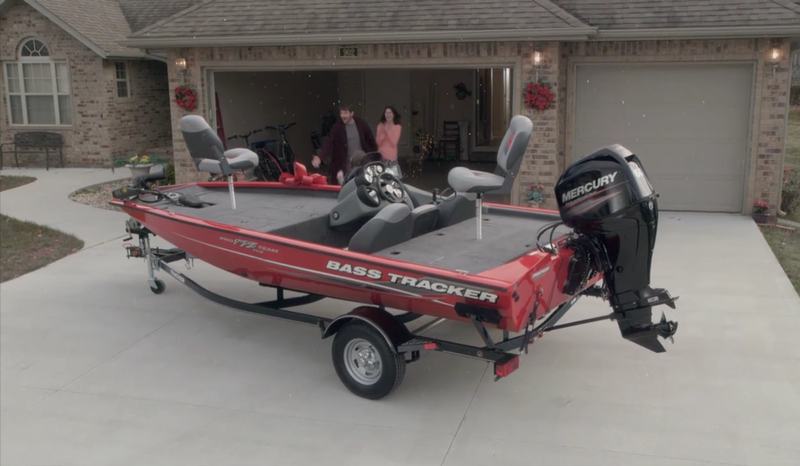 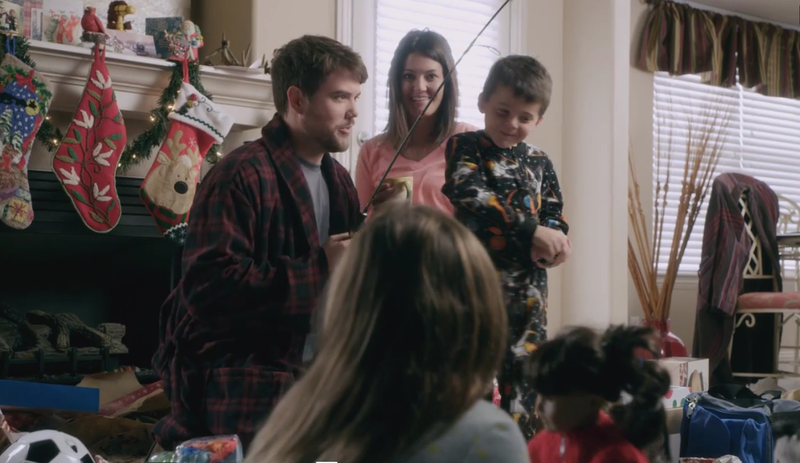 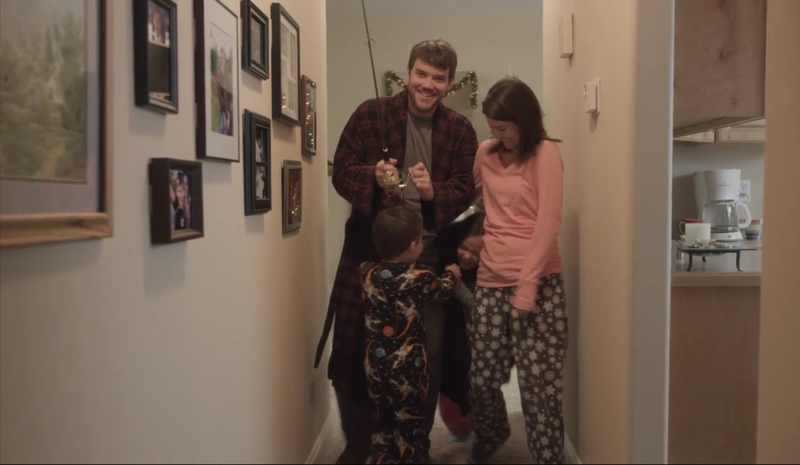 Summer Sale TV spot for Bass Pro Shops featuring NASCAR's Martin Truex and professional angler Bill Dance. Watch the commercial here. 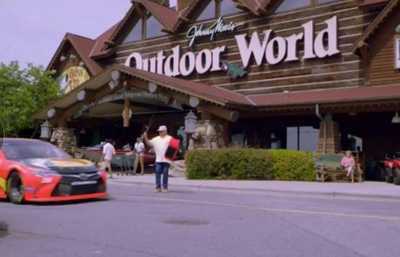 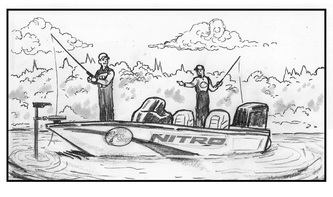 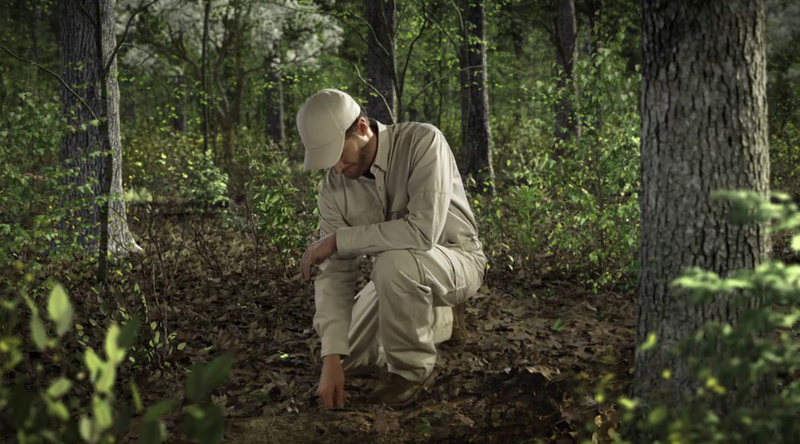 The concept for this spot emphasized NASCAR driver Tony Stewart as part of the Bass Pro family. 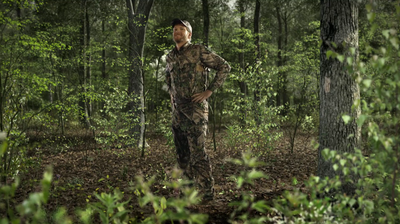 Watch the commercial here. 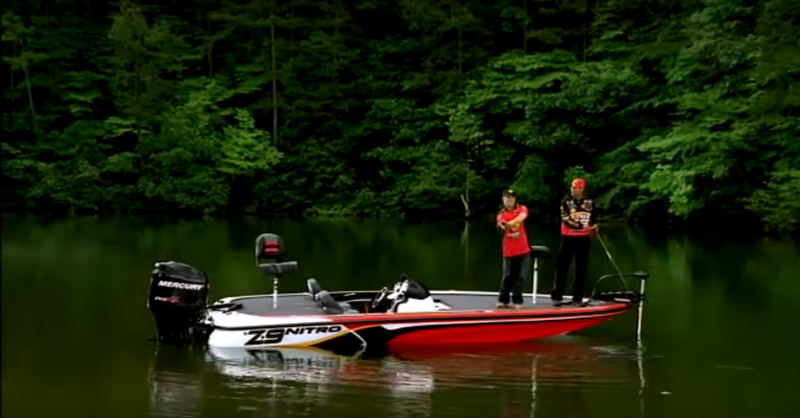 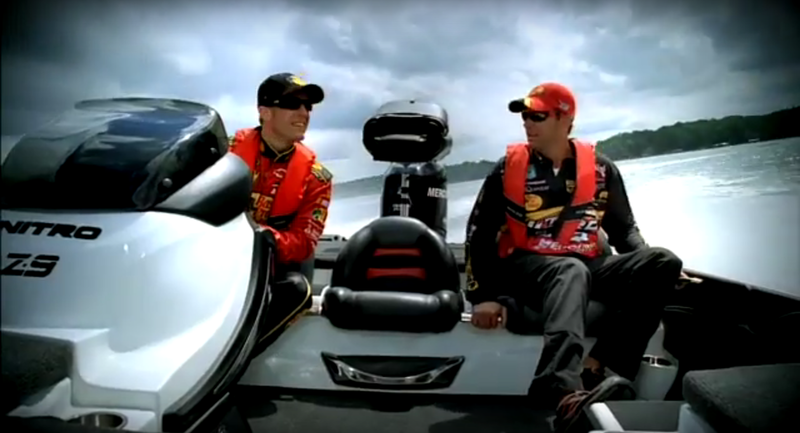 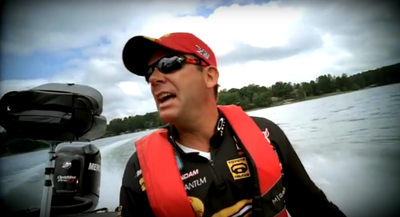 Kevin VanDam and Jamie McMurray, champions in different sports (fishing and NASCAR), swap roles and responsibilities in what became several commercials for BPS. 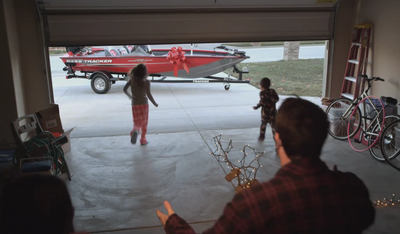 Watch the commercials: Celebration Swap and Left Turn. 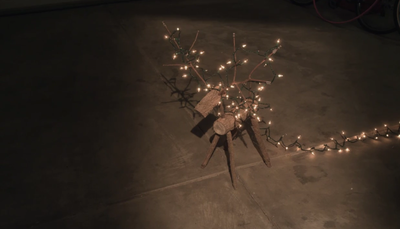 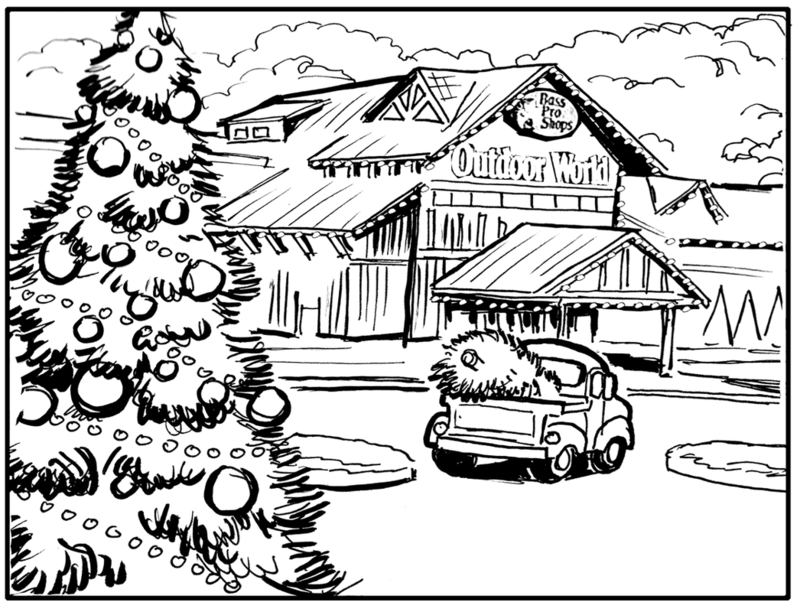 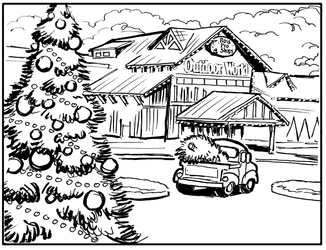 This was created for a proposed Christmas commercial concept, focusing on a down-to-earth Santa delivering a Christmas tree to a Bass Pro Shops store. 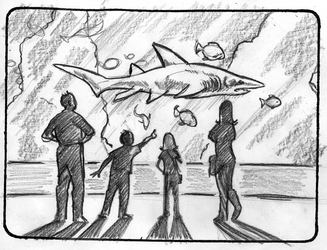 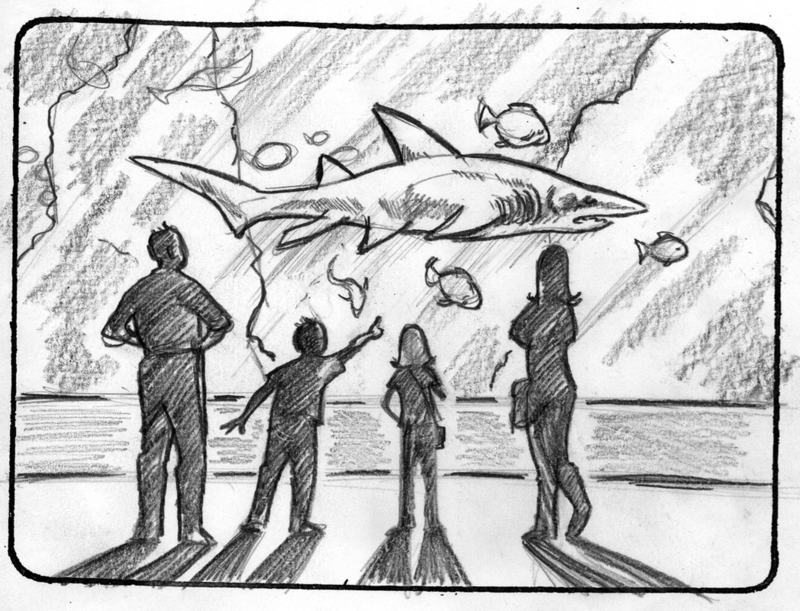 Excerpt from another commercial proposal, this one focusing on Wonders of Wildlife National Museum and Aquarium and other vacation attractions in Springfield, MO. 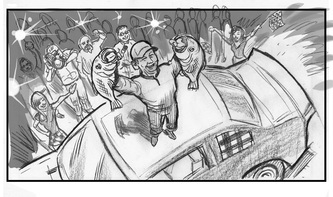 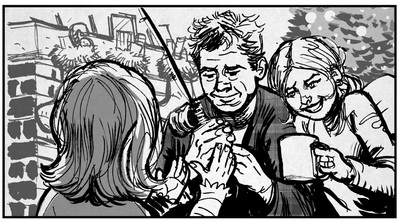 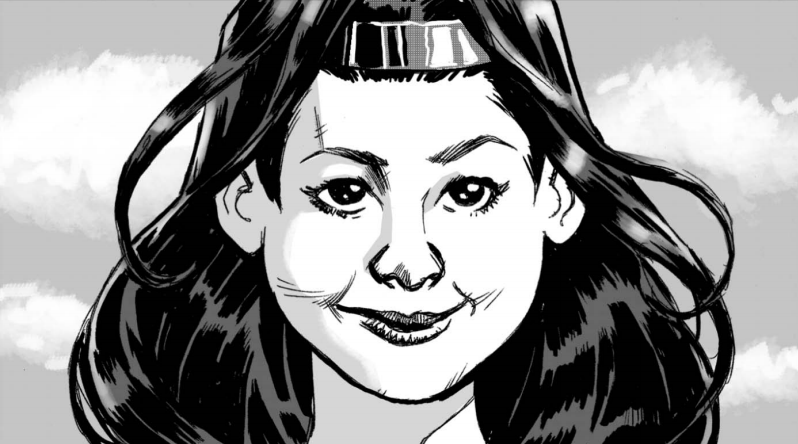 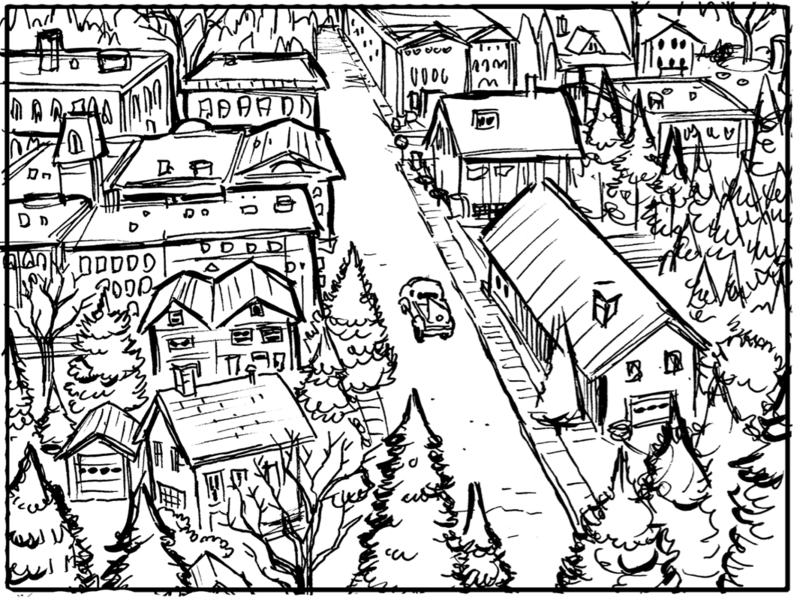 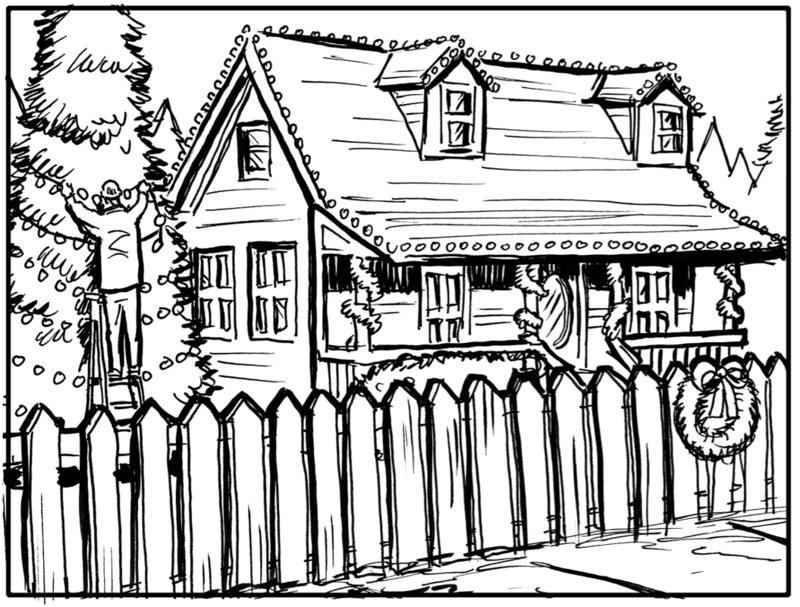 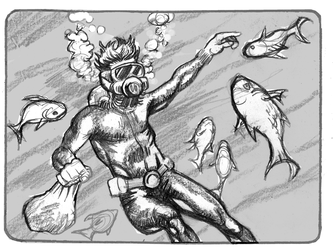 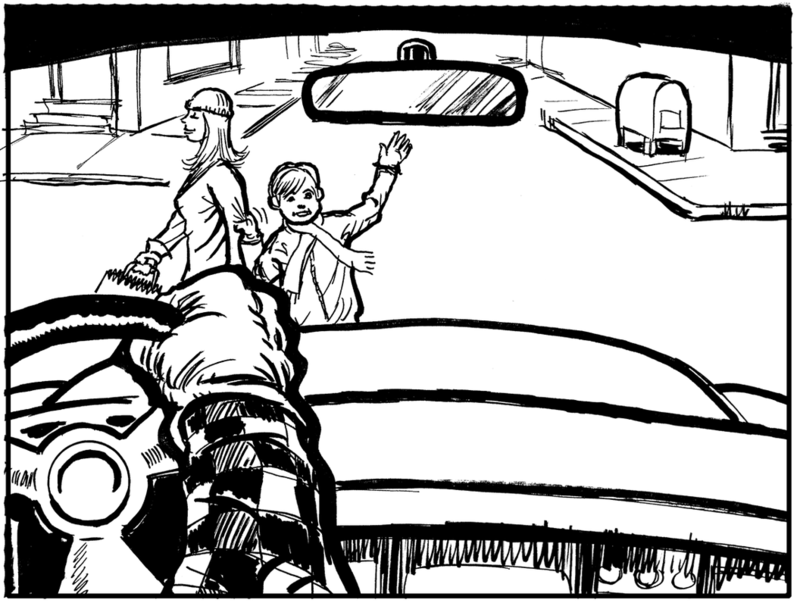 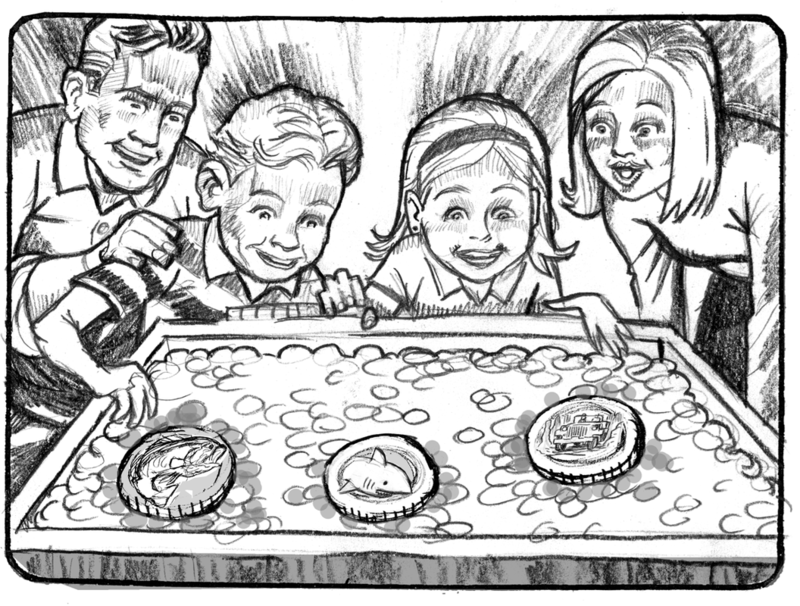 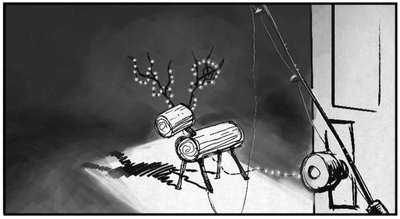 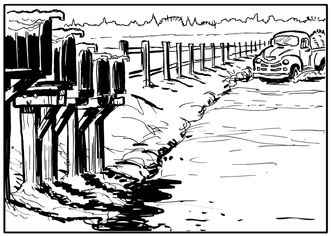 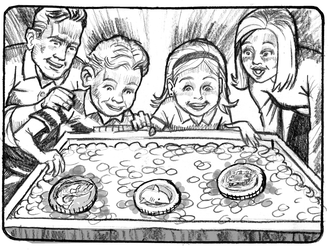 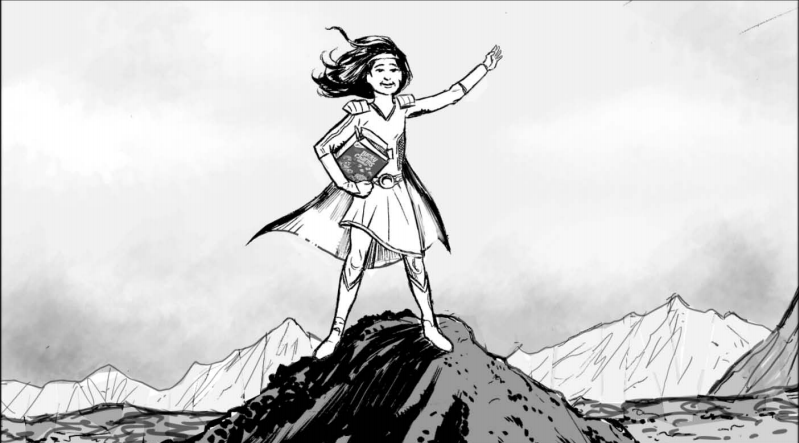 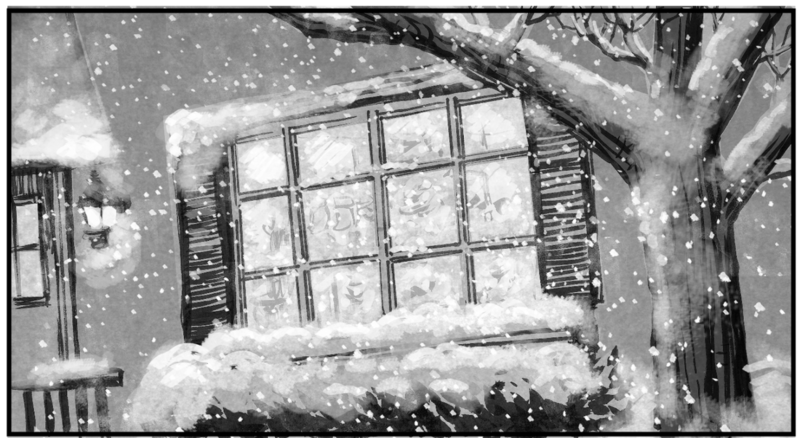 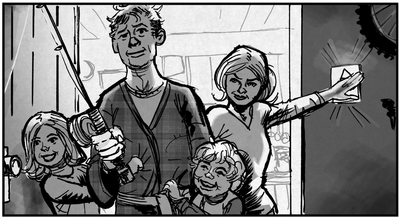 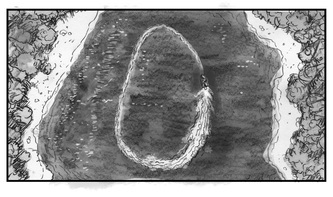 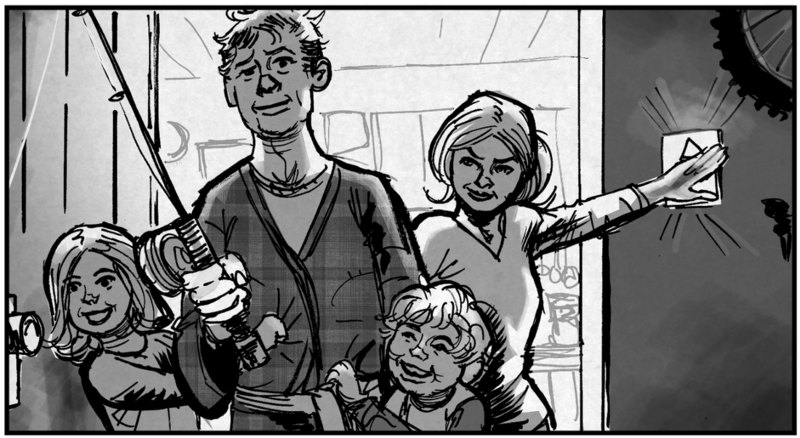 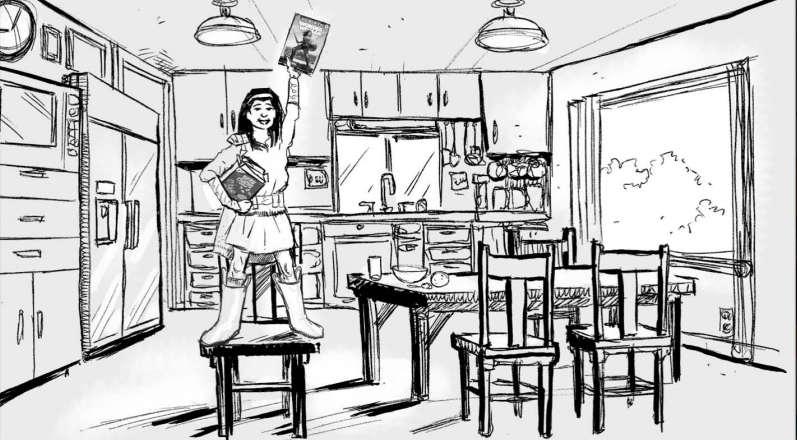 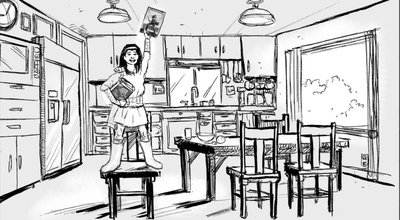 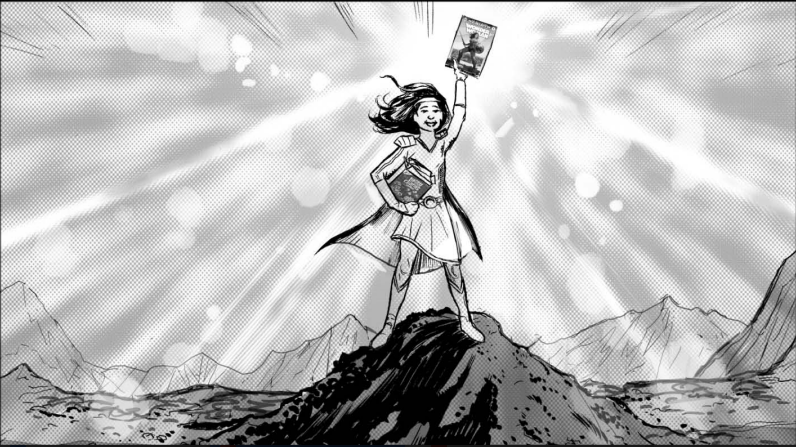 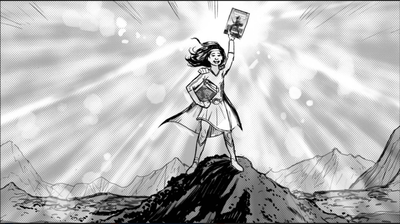 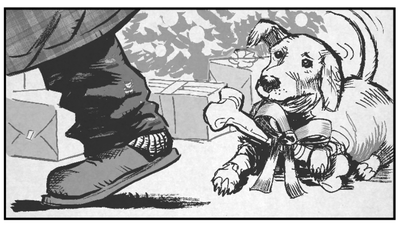 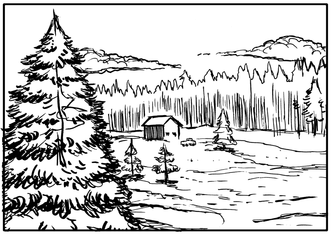 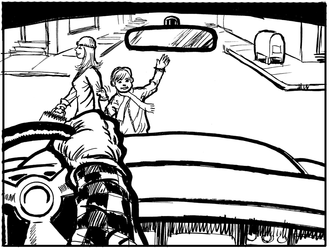 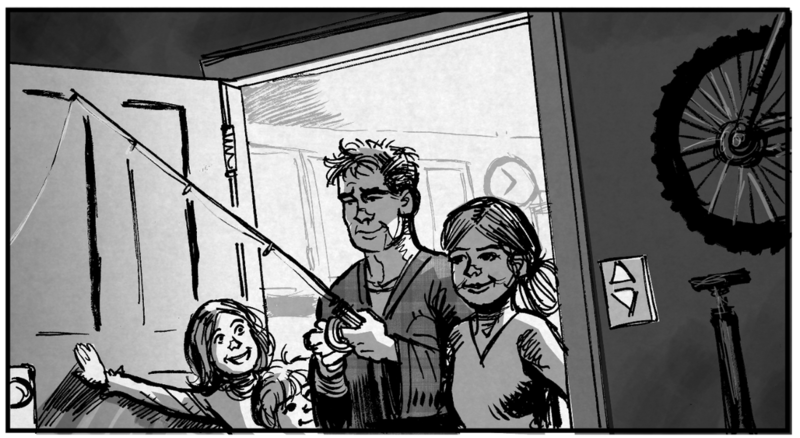 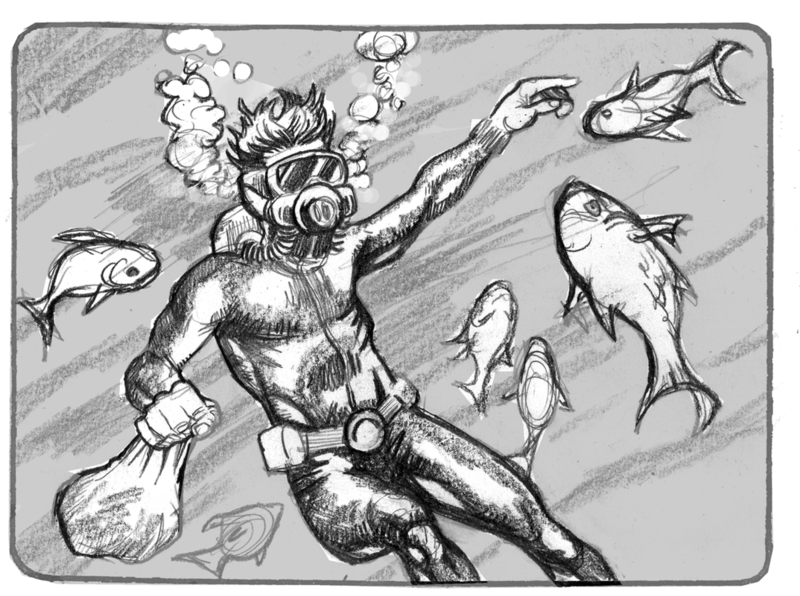 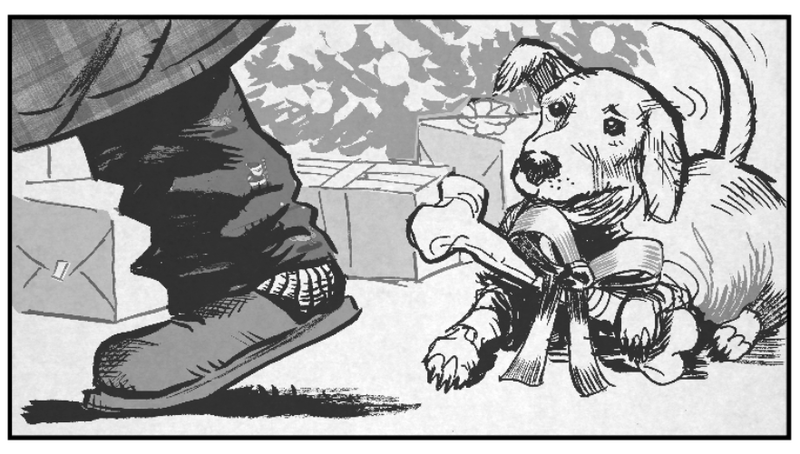 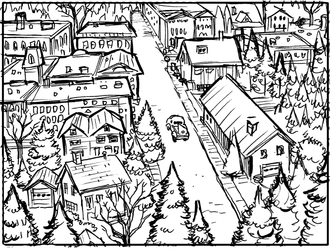 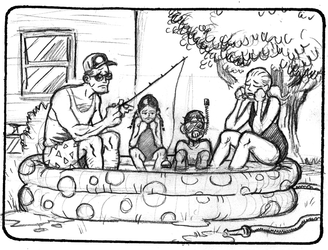 This was a fun commercial to storyboard. 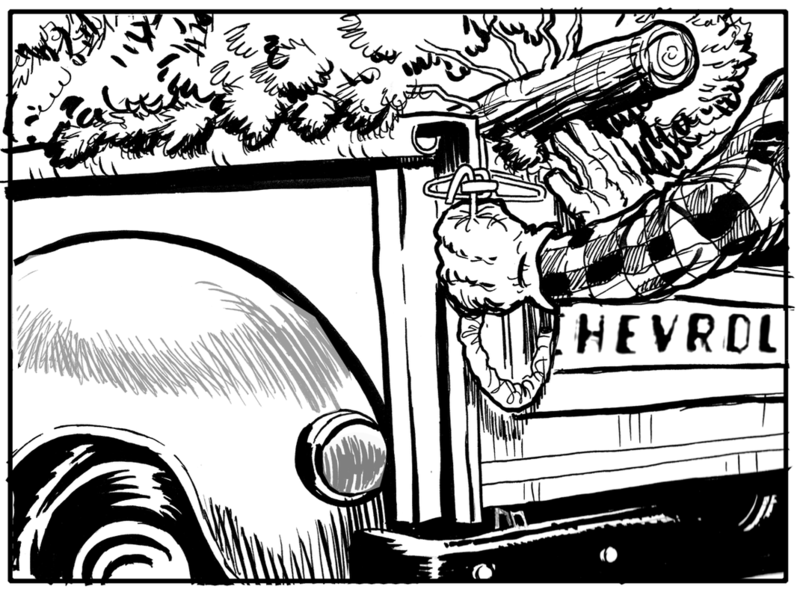 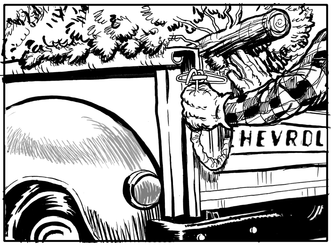 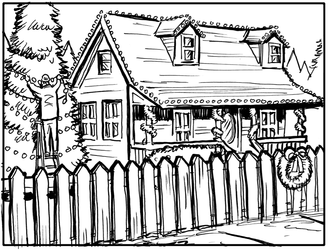 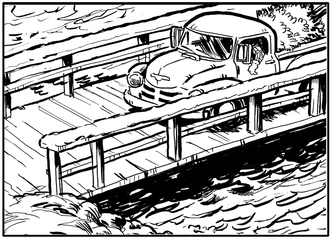 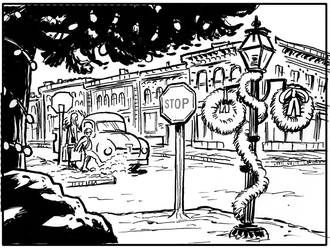 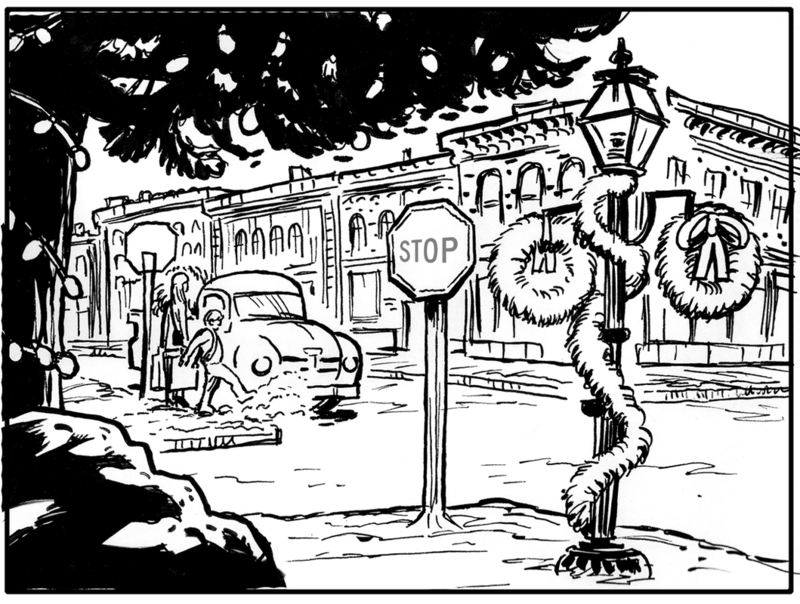 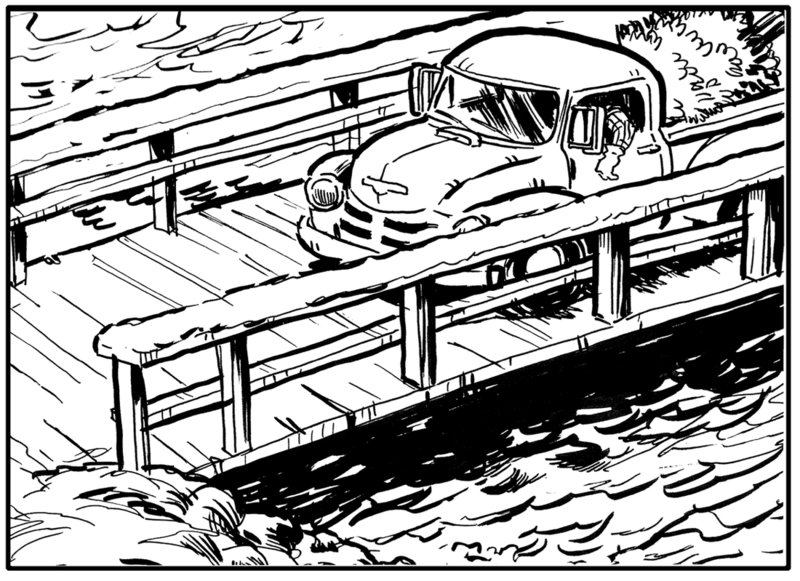 The sign was a blast to design, and I like how the old codgers in frame three turned out.